Looking for effortless elegance and easy living? 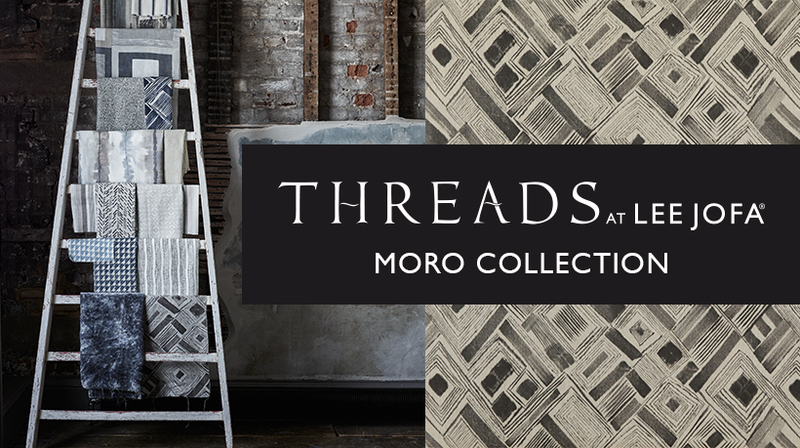 Look no further than Threads’ newest introduction, Moro Collection. Celebrating the relationship between the natural world and architectural design, Moro combines structural prints alongside beautiful textured vinyl wallpaper. Moro takes its cue from nature’s gentler colors. At its heart are the soft blues and teals of sea and sky moving to deepest midnight indigo. Organic neutral shades of charcoal and linen complete this beautifully focused color palette. 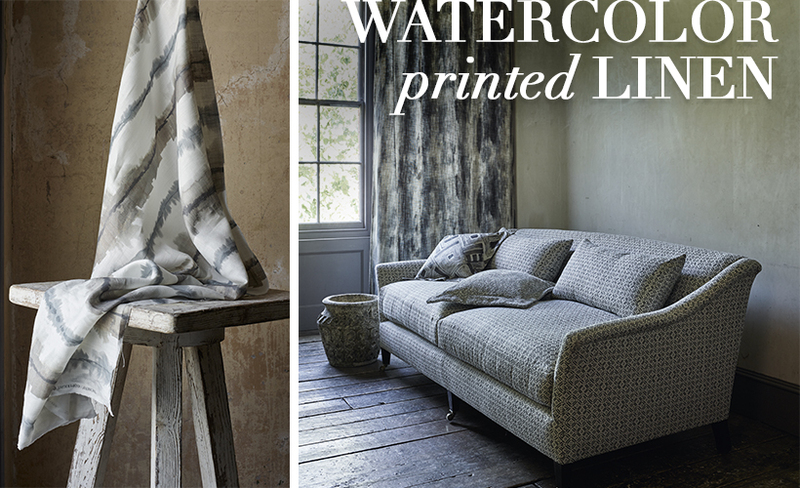 This collection combines restful painterly prints together with more structural graphic forms. 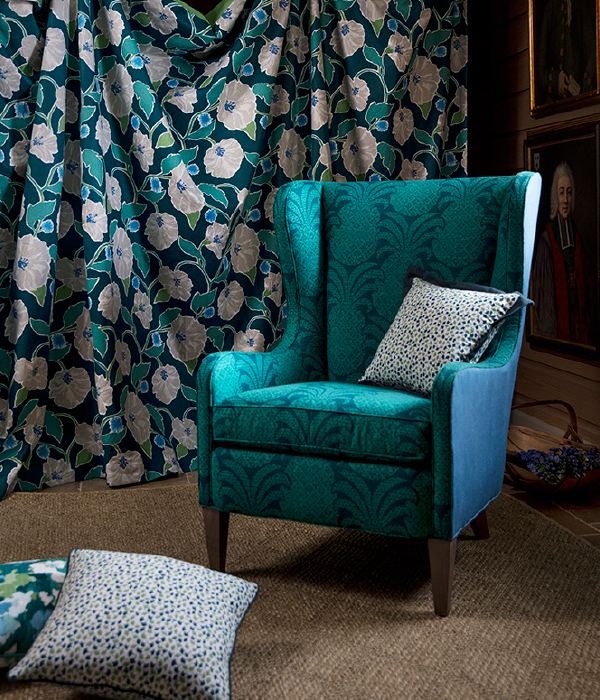 Some of the patterns are sourced from our expansive archive, adding a historic richness to this contemporary offering. The layered rectangles of color in MORO echo the flat planes and geometry of the architect Peter Moro, give this strong abstract composition a dramatic contemporary elegance. ARLO, an archival houndstooth design with Japanese origins, has been printed to resemble the slight unevenness of hand blocking. 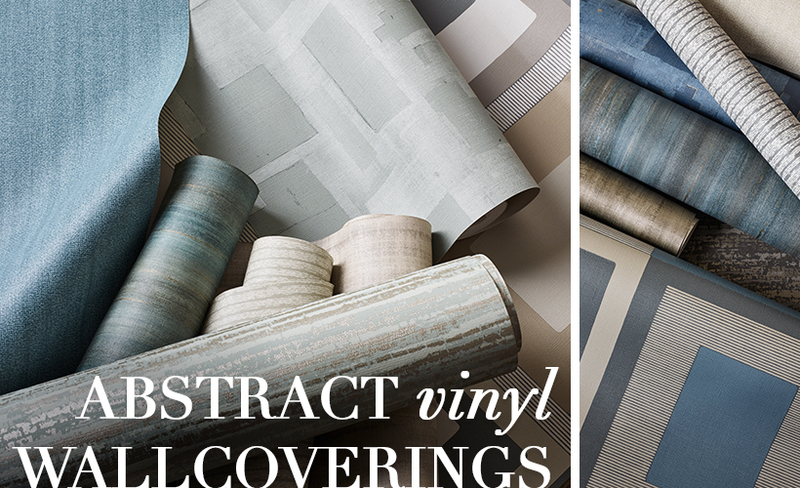 Arlo’s three versatile contemporary colors will enhance any interior, classic or contemporary. 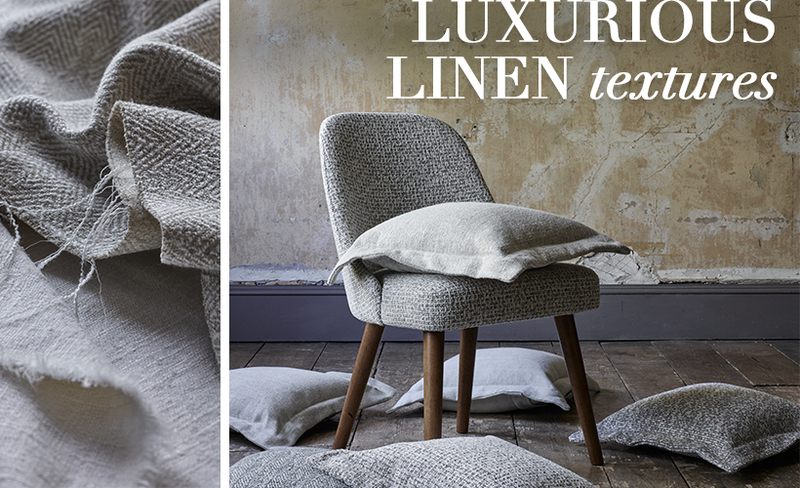 This is a superb collection of stylish, subtle and sumptuous textures. 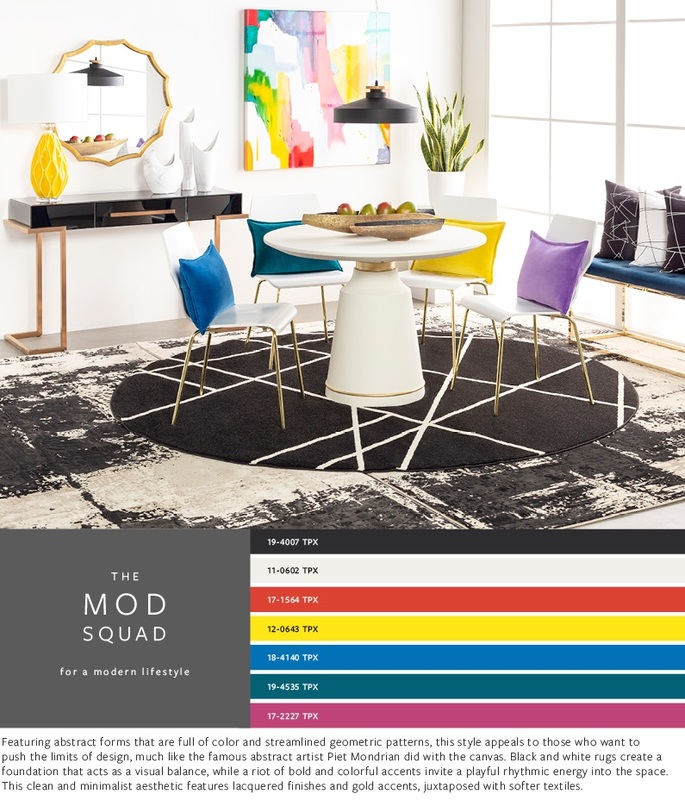 The perfect answer to comfortable, easy living, this collection emphasizes the cool modernity of the brand, sitting seamlessly in any interior either in harmony with other Threads designs or simply on their own. 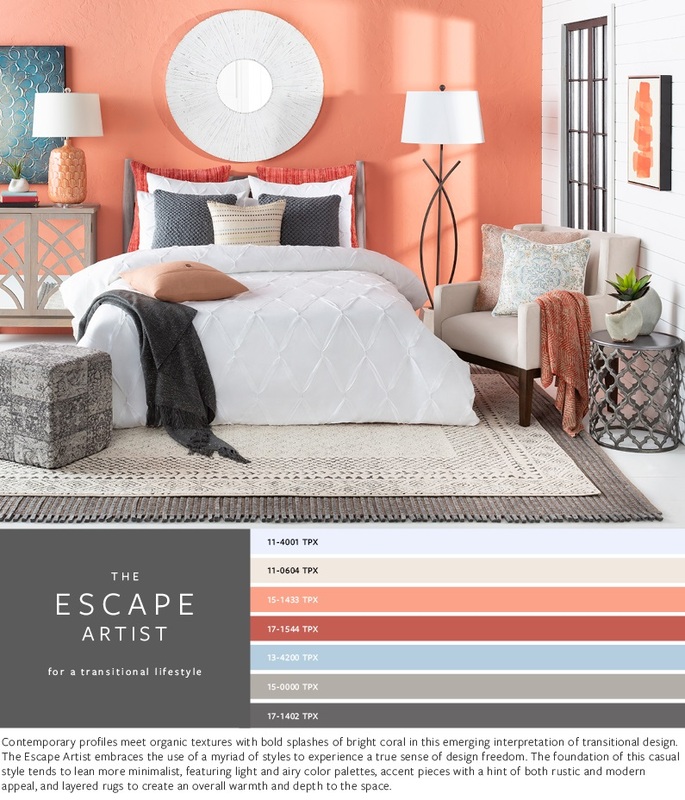 Surya’s Spring 2019 Featured Lifestyles capture the essence of design within the traditional, bohemian global, modern, and transitional styles – all with coordinating Surya accessories to complete the look! Collecting and curating is a way of life for Jason Oliver Nixon and John Loecke, the design duo behind esteemed firm Madcap Cottage. For their second collaboration with Robert Allen @ Home, the designers present a vibrant collection full of their signature wit and whimsy but with an added dose of far-flung glamour inspired by their own travel adventures. 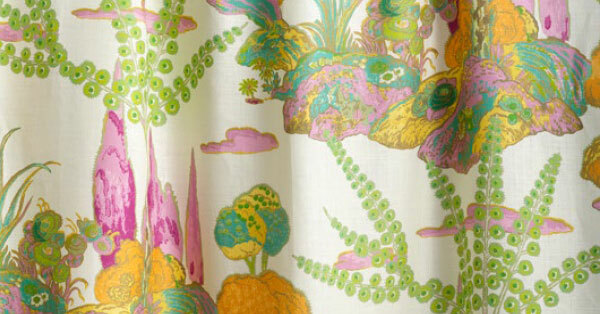 Patterns are hand-drawn and echo those from the 50s and 60s. 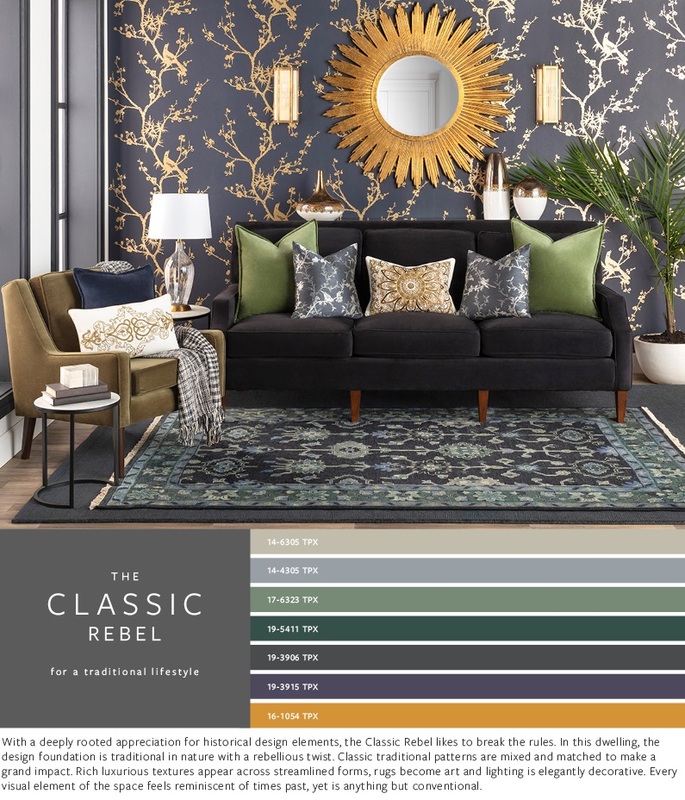 Exotic toiles, splashy florals, stunning geometrics and lyrical embroideries mingle to create a transporting, riotous mix of color that lends itself to numerous applications. Imagination and intrigue are the heart of the beloved Moon Blossom print by Beacon Hill. 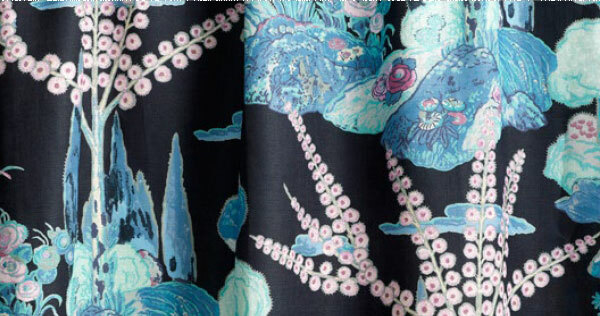 This timeless textile takes us deep into the forest where a moonlit kingdom of lush flora and fauna enchants the senses and deepens our connection to nature. Inspired by a late 19th-century French document, Moon Blossom gives rooms an unexpected dose of wonder, romance and fantasy. 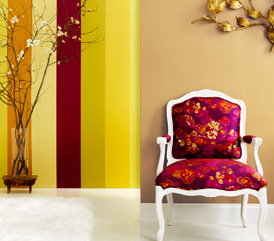 Lending itself towards Bohemian or global vibes, the ancient Ikat pattern is trendy and everywhere these days. Ikat is a weaving style common to many cultures around the world, and is one of the oldest forms of textile decoration. These begin with fibers that are initially colorless. They are woven into yarns and the yarns are then dyed and woven into fabric. Solution-dyed Acrylic is commonly used for umbrellas and awnings because it holds up extremely well under the sun and won’t fade easily. It also efficiently repels water for an added bonus! Comparable to solution-dyed acrylic in appearance, durability, and use, this fabric is a common choice for boat and car protectors. After the fabric is woven it is dipped into an acrylic coating making it water-resistant. Both acrylic and polyester fibers dry quickly and are UV resistant. Blending man-made and natural fiber creates a fabric that is both durable and aesthetically pleasing, as it is offered in a wide variety of colors and patterns. This waterproof and fire-resistant material is available in limited color choices and fabric styles. Having a slick, glossy appearance it is regularly used for larger canopies and commercial awnings. Commonly referred to as ‘sling able’ fabric, this is the only choice for sling type outdoor chair fabric replacement. Because the design of the sling chair is such that it requires the fabric portion support the weight of the occupant, rather than the frame, it is imperative that the fabric be strong and not stretch. Most often these fabrics are made of vinyl coated polyester or acrylic yarns, or other synthetics such as olefin and PVC. Besides their superior strength, they are durable, colorfast, easily cleaned, have a high UV rating, and do not promote mildew growth. After you determine how much sun exposure your furniture will receive you will have a better idea of how durable your fabric selection needs to be. Swatches are useful to see how the new fabric will blend with your existing décor, what they look like under natural light, and how they will contrast with your landscape. Check out new fringes and trims that are available for outdoor use…a little pizazz on a pillow can really add some POW to your design. Be sure to follow the guidelines for care and cleaning of your fabrics and they will last for several seasons of outdoor fun! Floating World was sparked by a trip to Paris's Pinacothèque museum, which hosted an exhibition comparing the works of Vincent van Gogh with those of the 19th-century Japanese artist, Hiroshige. The post-impressionist Dutch painter was clearly influenced by Hiroshige, whose highly stylistic yet serene prints often pictured a hazy Mount Fuji in the distance. The exhibit sparked an exploration of Japonisme and Chinoiserie, two European decorative genres informed by the art of Japan and China. Floating World is a reflection of these two artistic styles, but made modern through scale and color. 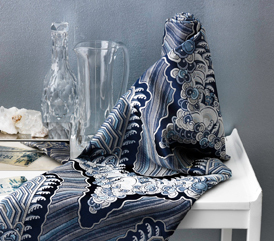 Go behind the scenes to see how the Robert Allen team of photographers and stylists bring this silk story to life. Visit our SHOP: DESIGNER TEXTILES - FLOATING WORLD COLLECTION to see these beautiful and vibrant fabrics. Drawing inspiration from the nomadic cultures of the Far East, Kravet Couture’s new collection ‘Nomad Chic’ features traditional Kilim and Ikat ethnic patterns combined with rich textural weaves. 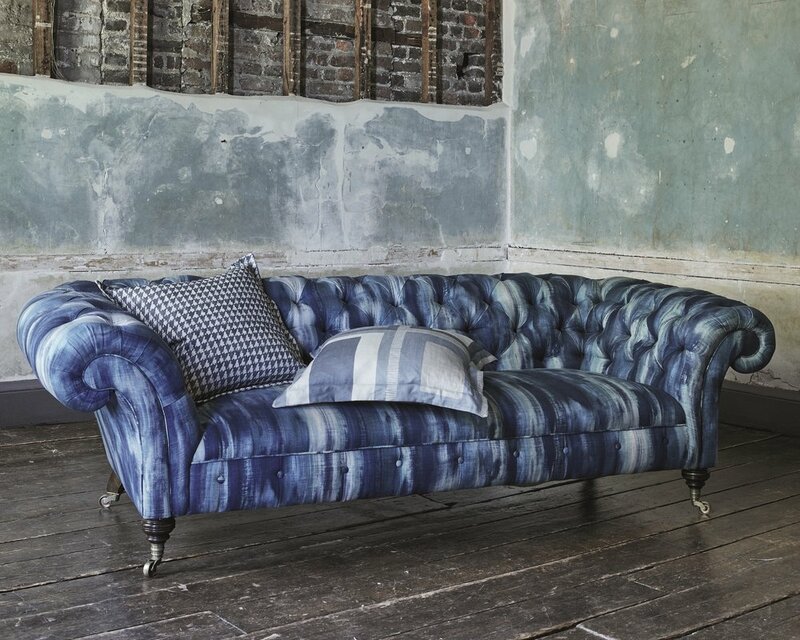 Visit our DESIGNER TEXTILES: NOMAD CHIC COLLECTION to view this exhilarating collection. Coordinating trim is available…please inquire via our Contact Form if you would like more information.